No Nativity scene is complete without three wise men and their entourage. Of course, any student of Scripture understands that their number is unknown but rather inferred from the three gifts that were presented to the Christ child – gold, frankincense, and myrrh (Matthew 2:11). Nor did they arrive at the moment of His birth, but rather some two years later. We know this because the family was living in a “house” (v. 11) rather than a stable (Luke 2:7). 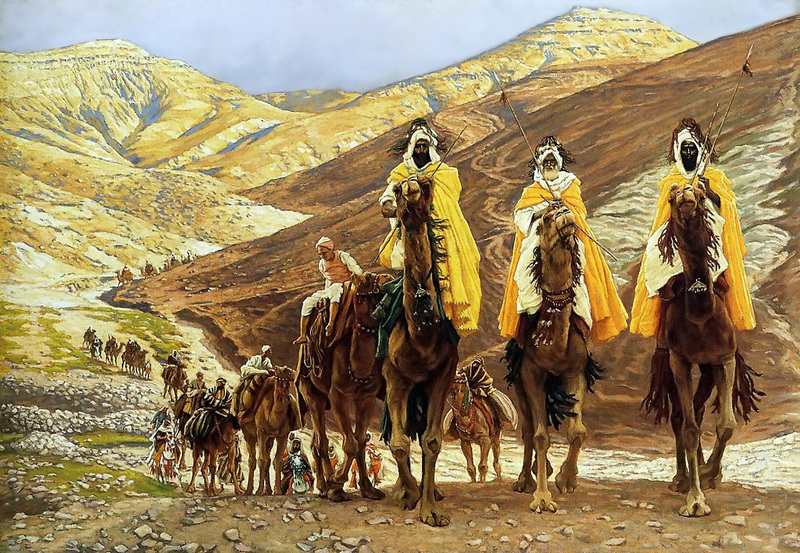 The wise men also found a “young child” (Greek: paidion – a toddler) rather than a “babe” (Greek: brephos – an infant). Regardless, the shepherds, wise men, singing angels and the whole menagerie make for a sweet tableau at Christmastime. The Bible has little to say about these men. They came from the “east,” which most agree is from the area of Persia. Since no one really seems to know for certain, I feel free to offer my suggestion. I reject the secular view that these men were Zoroastrian priests. While a pagan priest might be familiar with Hebrew Scriptures (because as educated men, they would probably study a wide variety of sources), they would not necessarily be compelled to take them seriously. After all, they adhered to their own religion. I agree with Clarke who suggests that they were “probably of Jewish extraction.” My guess is that they were of the remnant that remained in Babylon after Cyrus allowed the Jewish exiles to return to Jerusalem. Daniel remained in Babylon and maintained a high position as advisor to the king. Daniel was a “wise man.” Undoubtedly he established a school for wise men where he taught from the Hebrew Scriptures. There were many Jews that served in high positions in the Persian court: Mordecai (Esther 2:19), Nehemiah (Nehemiah 1:11); so it is reasonable to conclude that others followed suit. As Jewish “wise men,” they would have a greater reason to study the Scriptures as they yearned for their Messiah, the King of the Jews. I conclude that these magi were Jews coming from Babylon in search of their Messiah, and “When they saw the star, they rejoiced with exceeding great joy” (Matthew 2:10). And when they found the child, they “fell down, and worshipped him” (Matthew 2:11).